PhD2Published has several informative posts about writing journal articles, and more recently has featured a post outlining a potentially revolutionary collaborative peer review process for this kind of publishing. Todays post offers an alternative perspective; that of the journal article peer reviewer. Doing peer reviews provides important experience for those writing their own papers and may help writers consider what they should include based on what peer reviewers are looking for. At some point in your scholarly career, you likely will get asked to review an article for a journal. In this post, I explain how I usually go about doing a peer review. I imagine that each scholar has their own way of doing this, but it might be helpful to talk openly about this task, which we generally complete in isolation. Step One: Accept the invitation to peer review. The first step in reviewing a journal article is to accept the invitation. When deciding whether or not to accept, take into consideration three things: 1) Do you have time to do the review by the deadline? 2) Is the article within your area of expertise? 3) Are you sure you will complete the review by the deadline? Once you accept the invitation, set aside some time in your schedule to read the article and write the review. Step Two: Read the article. I usually read the article with a pen in hand so that I can write my thoughts in the margins as I read. As I read, I underline parts of the article that seem important, write down any questions I have, and correct any mistakes I notice. Step Three: Write a brief summary of the article and its contribution. When I am doing a peer review, I sometimes do it all in one sitting – which will take me about two hours – or I read it one day and write it the next. Often, I prefer to do the latter to give myself some time to think about the article and to process my thoughts. When writing a draft of the review, the first thing I do is summarize the article as best I can in three to four sentences. If I think favorably of the article and believe it should be published, I often will write a longer summary, and highlight the strengths of the article. Remember that even if you don’t have any (or very many) criticisms, you still need to write a review. Your critique and accolades may help convince the editor of the importance of the article. As you write up this summary, take into consideration the suitability of the article for the journal. If you are reviewing for the top journal in your field, for example, an article simply being factually correct and having a sound analysis is not enough for it to be published in that journal. Instead, it would need to change the way we think about some aspect of your field. – Is the article well-organized? – Does the article contain all of the components you would expect (Introduction, Methods, Theory, Analysis, etc)? – Are the sections well-developed? – Does the author do a good job of synthesizing the literature? – Does the author answer the questions he/she sets out to answer? – Is the methodology clearly explained? – Does the theory connect to the data? – Is the article well-written and easy to understand? – Are you convinced by the author’s results? Why or why not? Step Five: Write out any minor criticisms of the article. Once you have laid out the pros and cons of the article, it is perfectly acceptable (and often welcome) for you to point out that the table on page 3 is mislabeled, that the author wrote “compliment” instead of “complement” on page 7, or other minutiae. Correcting those minor errors will make the author’s paper look more professional if it goes out for another peer review, and certainly will have to be corrected before being accepted for publication. Step Six: Review. Go over your review and make sure that it makes sense and that you are communicating your critiques and suggestions in as helpful a way as possible. Finally, I will say that, when writing a review, be mindful that you are critiquing the article in question – not the author. Thus, make sure your critiques are constructive. For example, it is not appropriate to write: “The author clearly has not read any Foucault.” Instead, say: “The analysis of Foucault is not as developed as I would expect to see in an academic journal article.” Also, be careful not to write: “The author is a poor writer.” Instead, you can say: “This article would benefit from a close editing. I found it difficult to follow the author’s argument due to the many stylistic and grammatical errors.” Although you are an anonymous reviewer, the Editor knows who you are, and it never looks good when you make personal attacks on others. So, in addition to being nice, it is in your best interest. Tanya Golash-Boza is Associate Professor of Sociology and American Studies at the University of Kansas. She Tweets as @tanyagolashboza and has her own website. Publishing in Academic Journals Part 1: Where Do I Begin? more info about bodybuilding, if you like. This article sounds to be extremely helpful to people like me who are learning to peer review. Thanks for this valuable sharing and all the guidelines you provided. Brilliant! just what I needed to get started peer reviewing, and a great approach for achieving consistency. Thanks for such a useful article. Thank you, I have just been invited to write my first review since completing my PhD, and this is what I need to get me started – thanks again. Thank-you! This is extremely helpful. 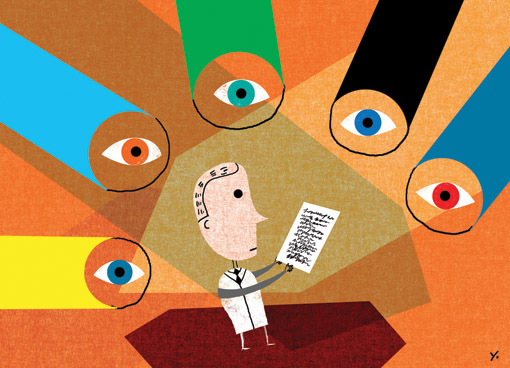 Thank you for the informative article, it is very helpful to someone new to peer reviewing! Reviewing article isn’t as easy as most expected. I’m a postgraduate research student in an applied Mathematics and very curious at learning how to do article reviewing (not really with peer though) in order to help me to understand how to read other researchers work, get the idea behinds it, digest it, see the loophole, perhaps reason out why the loophole and how it could be taken care off without any hiccups. Going through this article is as well like reviewing the whole of the article, because the concept has to be understood otherwise, the key point of the article might not be digestive, however, I sincerely need to have a copy of this, read over it often to fine tune my understanding on how to review an article and perhaps become a good article reviewer to as well help me in my own area of specialization. I have this bookmarked to read over before starting every peer review I’ve had to do recently. Thanks for the great tips/reminders!